MyTeleMed Mobile App Overview | HIPAA Compliant Messaging | TeleMed Inc. Mobile phone and alphanumeric pager loss and theft is the leading cause of HIPAA breaches for healthcare providers. Text messages containing PHI that reside on these devices can easily fall into the wrong hands via loss, theft or a breach of security on the wireless carrier’s network. Is your practice currently at risk? 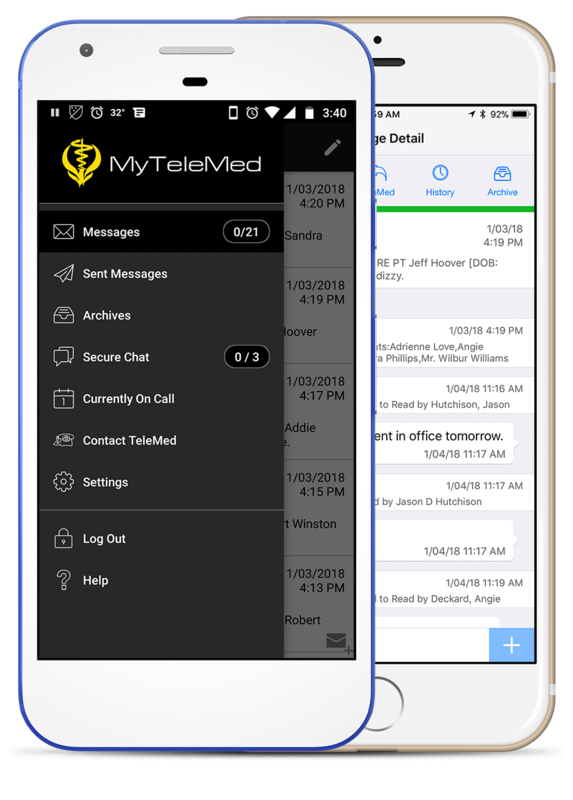 The MyTeleMed Mobile app is our free HIPAA compliant messaging app that receives complete text messages from the answering service or directly from your office via the MyTeleMed Practice Web Portal. 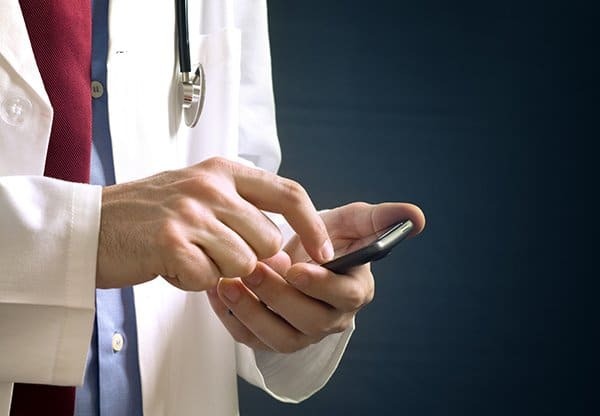 Manage your patient and medical office communications with your iPhone, Android or Blackberry. Automatic read receipt sent to TeleMed when a new message is read. Protocol based escalation for follow-up of unread messages. Type or make voice-to-text comments on any message. Comments and callbacks logged with the time and duration of the call. All message data is saved and available on MyTeleMed Practice Web Portal. Contact TeleMed Customer Service with a simple link from within the app.